Let's make a home made mini wind turbine propeller today. Airfoil or propeller converts the kinetic energy of the wind into rotational Energy. 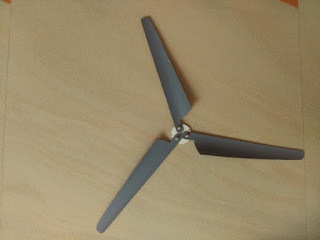 When I first planned to make a simple mini wind turbine, I got confused about getting a mini wind turbine propeller. Many people suggested me to enquir in a hardware shop. But unfortunately, such a device was unavailable in our town. When I was thinking about a remedy, one of my old friend said, "try to make it yourself.'' So I decided to make a wind turbine propeller for my own mini wind turbine. You can read the complete instructions to make a home made mini wind turbine here. or watch video here.